It is the new edition for this great event with its 17 renowned wine exhibitions! 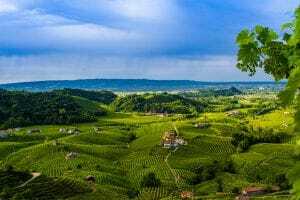 It is worth remembering that the first wine route was established in the Valdobbiadene and Conegliano area in the distant 1966, initially called White Wine Route and nowadays known as the Route of Prosecco and Wines of the Conegliano Valdobbiadene Hills. This area is situated in the upper Treviso area and includes the foothills of the Treviso province. Prosecco Spring offers a busy calendar of events, sport and cultural happenings and food and wine tastings. The opportunity to taste wines and typical produces of the Treviso hills, such as Prosecco DOCG, Cartizze and Valdobbiadene DOCG, Fregona Torchiato DOC, Refrontolo Passito and Verdiso as well other produces – namely, radicchio, cheese, olive oil, honey and cold meats opens the doors to a century-long tradition of vines nourished with experience and wisdom that have generated the characteristics that are well-known throughout the world. Originally established as a wine-only event, the exhibition has, in a short amount of time, become a food and wine event to promote not only the wines of the hills but also the many typical dishes based on local produces. The setting of all the exhibitions is picturesque and unique, with a background of medieval hamlets, sumptuous 18th century Venetian palaces surrounding beautiful squares and hills rolling up to the foothills of the Alps. But Prosecco Spring is more than a food and wine only event. Thanks to a great flow of visitors, it now includes an ever growing number of collateral events, such as sport, arts and entertaining events with a local theme, which bring visitors in close contact with this area. Trailing only Vinitaly in Veneto, for both the number of Italian and foreign visitors, Prosecco Spring is an annual encounter with wine, food, arts, culture and sports on the hills of the Treviso hills and the opportunity to bring villages and their inhabitants together. 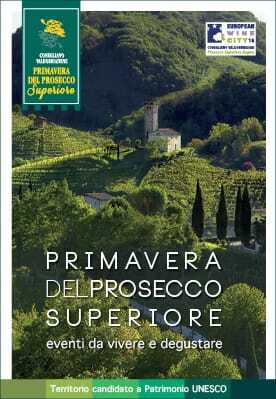 Visit www.primaveradelprosecco.it for further information.